Nearly two years into Prime Minister Shinzo Abe’s second stint at governing Japan, his tenure has been characterized by three primary themes. The first two themes include his major legislative priorities: enabling Japan’s economic revival and bringing Japan closer to the status of a “normal” country that takes on a greater share of its own security needs. Both of these priorities are largely celebrated in the United States, which longs to see Japan become a more able and active partner in the region. A third theme has not been well received in Washington: the prime minister’s apparent efforts to whitewash Japan’s wartime past. Through personal expressions of admiration for convicted war-criminals, an official reinvestigation of past apologies for war-time atrocities, and appointments of hardline nationalists to prominent posts (such as the NHK board of governors), the prime minister’s actions have raised the spectre among wary neighbors of a Japanese return to militarism and begun raising eyebrows even among friends in Washington. It is against this backdrop that Japan is now attempting to reinstate its nuclear energy program. Japan, which, not long ago, had planned to generate half of its electricity from nuclear power by 2030, has watched its nuclear reactors sit largely idle since the Fukushima disaster in 2011. Abe’s government views nuclear restarts as a critical pillar of his first legislative priority—Japan’s economic recovery. However, observers both outside and inside Japan note that, in addition to providing Japan the baseload electricity that its economy craves, the country’s sophisticated nuclear energy program effectively serves a dual purpose, providing Japan a latent nuclear weapons capability as well. In fact, Japan’s current movement towards a more normal military posture is not entirely unrelated to the push to restart the country’s nuclear energy program—it was the Fukushima nuclear disaster that both idled Japan’s nuclear fleet and helped enable the return of the more hawkish LDP government. But the relationship likely ends there. As a legacy of World War II, Japanese society’s discomfort with the idea of a “normal” Japan has restricted Abe’s normalization efforts to steps that are only modest by any comparable measure.3)Green, Michael and Jeffrey W. Hornung, “Ten Myths about Japan’s Collective Self-Defense Change.” The Diplomat. 10 July 2014. Web 27 October 2014. http://thediplomat.com/2014/07/ten-myths-about-japans-collective-self-defense-change/. Events that have conspired to suggest the possibility of Japanese nuclear weapons are reflective of awkward timing and, perhaps, less than acute politics, but not likely of some new militant spirit in Japanese society. Unfortunately, as Japan pushes to restart its nuclear energy program in the months and years ahead, circumstances are aligning that will amplify—not mitigate—alarm over Japan’s nuclear intentions. For a tangle of social and legal reasons, the restart of Japanese reactors is tied together with operation of Japan’s nuclear fuel reprocessing plant at Rokkasho Village in Aomori Prefecture. Under agreements with reactor host communities, utilities cannot operate reactors unless there is somewhere for nuclear fuel to go once it has been used. Because Japan lacks a geological repository and nearly all plant sites lack dry cask storage facilities,4)Fukushima Daiichi, coincidentally, is one of two exceptions. There is some evidence that, post-Fukushima, momentum may be building for acceptance of on-site interim storage. In 2013, the Governor of Shizuoka Prefecture, which hosts the Hamaoka Nuclear Power Plant, broke with precedent in suggesting that the plant should develop interim storage as an enhanced safety measure. Rokkasho is currently the only viable destination for spent fuel from Japan’s reactors. Unless this situation changes, Japan is effectively unable to operate reactors without Rokkasho. Rokkasho itself is, in turn, effectively dependent on Japan’s operating reactors. According to a sort of public-private arrangement that has been in place since before Fukushima, Japanese utilities send spent nuclear fuel to Rokkasho, where it is separated into waste and fissionable MOX (mixed uranium and plutonium oxides) powder. MOX is processed into fresh reactor fuel and sent back to Japan’s reactors. High-level waste is ultimately sent to a geological repository that is to be built in a different prefecture (one of Aomori Prefecture’s conditions for originally agreeing to host the reprocessing plant). Of Japan’s reactors, 16 to 18 of the 54 that were operating prior to the Fukushima accident would, after receiving local government consent, consume MOX in an effort to maximize use of Japan’s limited energy resources. That was the plan—prior to the Fukushima disaster, anyway. As a legacy of the Fukushima disaster, Japan’s nuclear reactors currently sit idle. The six at Fukushima Daiichi will never operate again, nor will a number of others that are older, particularly vulnerable to earthquakes and tsunamis, or for other reasons not worth the trouble and expense of restarting. While impossible to predict for certain, a consensus seems to be emerging among experts and industry watchers that post-Fukushima, somewhere in the order of half of Japan’s original 54 reactors will return to service under Japan’s new regulatory regime. Currently, two reactors (Sendai 1 and 2 in southwestern Japan) have cleared safety reviews from Japan’s new regulator, the Japan Nuclear Regulatory Authority (JNRA), and now appear headed towards restart this winter. Eighteen more reactors await review from the JNRA. Of those 20 reactors, only five5)Three further Japanese reactors had received approvals for MOX but have not applied for restart authorization. have received consent to use MOX, but that was prior to Fukushima. All 20 reactor restarts depend on the promise of a functioning Rokkasho. But if Rokkasho were to restart on a similar timeframe as the reactors, one thing is certain—there will be far fewer than the originally envisioned 16 to 18 reactors available to consume the MOX when the plant starts up.6)Furthermore, the plant that will fabricate the MOX powder into reactor fuel is not planned to be operational until October 2017, meaning that any MOX powder produced by Rokkasho will have to wait until after that date to be consumed, the status of Japanese MOX-burning reactors notwithstanding. As with Rokkasho, the question of when the JNRA will conclude its reviews of the next eighteen reactors remains quite murky. However, it stands to reason that ultimately most, if not all, of the reactors that have applied for restart will ultimately pass safety inspections. Japan’s electric power companies are unlikely to have invested the time and resources in plant upgrades and regulatory application had they less than a high degree of confidence that they would qualify under Japan’s new regime. Likewise, there is little question that Japan’s LDP government (assuming an LDP government at the time of restart) would stand in the way of restarts. But the JNRA and national government are only two of the three main factors in restarting Japan’s reactors—leaders of the towns and prefectures that host nuclear power plants have a de facto say in the matter as well. The conventional wisdom is that local leaders have strong financial incentives to restart the nuclear power plants that they host: government and industry have historically lavished incentives on host communities and prefectures in order to overcome any inclination toward local resistance. In one sense, local governments have over time become dependent on plants and can ill afford to forego not only the government and utility incentives, but also the base of jobs and tax revenues they represent. On the other hand, communities need now only look to the example of the towns that have been rendered uninhabitable by the Fukushima disaster to see a terrifyingly clear picture of their tradeoff. In some cases, apparently including the Sendai reactors, it is unlikely that local government would stand in the way of restarts. Earthquakes are less common in Kyushu,7)Kyushu, the island on which the Sendai Nuclear Power Plant is located, is one of four main islands that comprise the Japanese archipelago. Kyushu sits to the southwest of Japan’s main island, Honshu, where Fukushima Daiichi is located roughly in the center, on the Pacific coast. The Sendai reactors are located approximately 700 miles southwest of Fukushima Daiichi. the geography on the west coast is less prone to large tsunamis, and local residents may take comfort in the fact that Sendai reactors are pressurized water reactors—not the boiling water rector type used at Fukushima Daiichi. But in other cases, local approvals may not be as certain. Take for example TEPCO’s Kashiwazaki-Kariwa plant in Nagano prefecture, where Governor Izumida has very publicly challenged TEPCO. He has insisted that, irrespective of the findings of the JNRA, with the Fukushima Daiichi reactor cores still too highly radioactive to investigate and verify the true nature of the accident, he will be unwilling to allow the Kashiwazaki-Kariwa reactors to restart. In addition to the local government factor, an X-factor may be emerging—preemptive lawsuits against reactor restarts. Earlier this year, in Fukui prefecture where political leadership otherwise favors nuclear power, a citizens group brought a lawsuit alleging an inadequate basis for confidence in the restart of the Oi plant.8)Ota Ko. “Fukui court deals setback to Kansai Electric bid to restart Oi reactors.” The Asahi Shimbun AJW. The Asahi Shimbun. 21 May 2014. Web. 23 September 2014. http://ajw.asahi.com/article/behind_news/social_affairs/AJ201405210079 More recently, a second lawsuit has been brought by the city of Hakodate (Hokkaido prefecture) against the yet-to-be completed Ohma plant in nearby Aomori prefecture.9)Isozaki Kozue. “Court hears first arguments in Oma nuclear plant lawsuit.” The Asahi Shimbun AJW. The Asahi Shimbun. 4 July 2014. Web. 23 September 2014. http://ajw.asahi.com/article/0311disaster/fukushima/AJ201407040041 In the case of Oi, a local judge sided with the plaintiffs, but the decision has been appealed by Kansai Electric Power Company, and the case is all but certain to drag out until long past the serviceable lifetime of the Oi reactors. The Hakodate case is ongoing. It is possible that Governor Izumida is an outlier and that the Fukui and Hakodate challenges will prove to be ineffective and isolated. However, it is equally possible that there are more Governor Izumidas and lawsuits yet to come. Furthermore, what is undeniable is that these cases have set a precedent and raised public pressure on local officials to seriously consider opposing restart of local reactors even if they do pass JNRA safety inspections. In any case, it is premature to presume that once the JNRA has rendered a safety verdict, reactor restart is imminent. Within the concurrent push to open Rokkasho and restart reactors, the availability of MOX-burning reactors seems to be assumed. But, notwithstanding all of the other hurdles facing nuclear reactor restarts in Japan, MOX fuel itself has been a subject of controversy and public discomfort since even before the Fukushima disaster. As utilities received approvals to burn MOX fuel and subsequently began receiving shipments of MOX from Europe (where it had been processed on behalf of Japan’s utilities), they were met with consistent and passionate public protests. These protests were typically confined to a cohort of smaller national-level interest groups that argue that using MOX elevates risk in transportation and regular reactor operation.10)By coincidence, Fukushima Daiichi Unit 3 was one of only four reactors in Japan that were using MOX fuel at the time of the accident, and, as the American Nuclear Society argues, MOX has not yet been shown to have contributed to the disaster any differently than the conventional fuel in Units 1 and 2. See: Brady Raap, Michaele. The Impact of Mixed Oxide Fuel Use on Accident Consequences at Fukushima Daiichi. Chicago, Il: American Nuclear Society. American Nuclear Society Technical Brief, March 2011. Available at http://www2.ans.org/misc/ans-technical-brief-mox-fukushima.pdf. On a national scale, prior to Fukushima the fuel cycle has been a relatively fringe issue—MOX had been a largely unfamiliar acronym to the public. Post-Fukushima, as utilities push for restarts amidst an atmosphere of heightened public scrutiny, there will be no free pass for MOX. For nuclear energy opponents, the prospect of MOX usage would provide one more narrative with which to hammer against proposed reactor restarts. At the macro level, utilities share in the incentive to burn MOX fuel as they depend on Rokkasho, and Rokkasho is hard to rationalize in the absence of a functioning MOX program. However, in a much more tangible and immediate sense, utilities desperately need their reactors up and running again. Most of Japan’s utilities have posted consistent losses since their reactors were relegated to nonperforming assets on their balance sheets and they were forced to substitute expensive fossil fuels for relatively cheaper nuclear power. 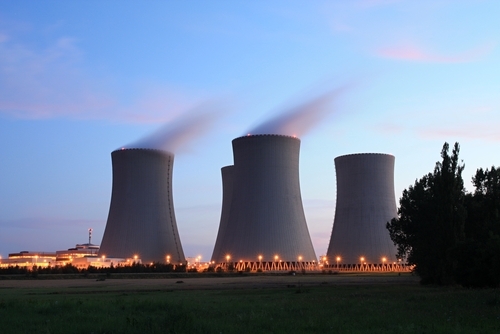 For Japan’s utilities, restarting nuclear reactors could be a life or death proposition. That being the case, can it be taken for granted that utilities will risk complicating their restart efforts by forging ahead with plans to burn MOX? Will the government create explicit incentive for utilities to do so? Given enhanced public scrutiny, it cannot be assumed that the pre-Fukushima local approvals for MOX usage will be honored anyway. The Japanese government’s 2014 energy policy (despite reaffirming Japan’s commitment to its beleaguered ‘no surplus plutonium’ policy), gives blessing to proceeding with Rokkasho (recognizing that, among other things, if it didn’t, Aomori threatens to send the spent nuclear fuel right back to the plants of origin). But even assuming that the five MOX reactors under regulatory review do receive restart approval and recommence MOX burning, the original goal of 16 to 18 Japanese reactors burning MOX fuel seems far off.11)It is worth noting that one of these sixteen to eighteen reactors was to include the under-construction Ohma plant in Aomori prefecture, but as previously noted, Ohma is subject of an ongoing lawsuit. There has been some suggestion that Rokkasho could restart slowly, at a throughput commensurate with the ability to consume MOX. However, as Meiji University Professor Tadahiro Katsuta points out, reducing throughput of Rokkasho effectively raises the per-unit cost of MOX, necessitating a reexamination of the cost basis on which the MOX program was justified to Japanese ratepayers.12)Katsuta Tadahiro, “The Influence of the Fukushima Accident on Japan’s Reprocessing Policy and the Challenges Ahead” (working paper, Graduate School of Humanities, Meiji University, 2014). Even outside of the MOX capacity question, Rokkasho is not without controversy. Officially, Rokkasho is justified as an investment in energy security for Japan. However, from the standpoint of global nonproliferation concerns, Japan sets an uncomfortable precedent with Rokkasho. While otherwise a leading global champion for peace and nuclear disarmament, Japan is the only non-nuclear weapons country to possess a commercial nuclear fuel recycling program. Whereas global nonproliferation efforts prioritize limiting the spread of reprocessing capabilities, Rokkasho has enabled Iran, for one, to point to Japan in defending the legitimacy of its own fuel cycle activities. South Korea, seeking American consent for a Korean recycling program, also cites Japan’s example in negotiating a replacement for the U.S.-ROK nuclear cooperation agreement that expires in 2016. Controversial or not, Japan’s leaders feel compelled to push forward with Rokkasho and through an agreement under section 123 of the Atomic Energy Act,13)Section 123 of the United States Atomic Energy Act requires so-called “123 agreements” determining the conditions for nuclear cooperation with a given foreign state. For further details, see: “The U.S. Atomic Energy Act Section 123 At a Glance.” Arms Control Association, 2013. Web 27 October 2014. https://www.armscontrol.org/factsheets/AEASection123. they enjoy the support of the United States government. American consent to Rokkasho is only guaranteed through 2018, but the United States, which granted consent in 1988 largely out of deference to diplomatic concerns, for the same reason is highly unlikely to withdraw consent in 2018. Given the effective concurrence of the 2018 date with U.S.-ROK negotiations and the looming startup of Rokkasho in the face of low (or no) capacity to consume MOX, timing has become extremely awkward. As Rokkasho proceeds towards restart, public reaction from Washington has been surprisingly muted. Perhaps this reflects appreciation for the energy conundrum in which Japan finds itself, or tacit consent that bringing Japan’s nuclear industry back onto solid footing after the Fukushima disaster was always going to be awkward—Japan has an inherent chicken or egg dilemma in restarting Rokkasho and its reactors. But the reality is that Japan’s situation puts Washington in a very tough spot. Washington is effectively complicit in what might appear to be Japanese disregard for its own commitments to global nonproliferation. This poses a risk to the global nonproliferation regime and American credibility on the subject. Global nonproliferation principles undoubtedly remain a high priority for Japan. But it is likely that in the short term, the eyes of Japan’s leaders are focused more intently on bringing nuclear reactors back on line. Particularly in the context of Prime Minister Abe’s provocative views on history, the perception outside of Japan is certain to be one of alarm if Japan is seen to be separating plutonium without a credible pathway for its disposition. While the coincidence of the 2016/2018 Korea and Japan 123 agreements and Japan’s reentry into nuclear energy will shine a spotlight on the American role in Japan’s nuclear fuel cycle scheme, it is seen as highly unlikely that the United States will attempt to withdraw from or renegotiate the 123 agreement with Japan irrespective of Japan’s plutonium balance concerns. This will effectively make the United States appear complicit in Japan’s growing inventory of plutonium. For the United States, this situation has consequences on three fronts. Firstly, Japan’s apparent failure to abide by its plutonium commitments undercuts American interests in limiting fuel cycle capabilities through treaty agreements. Nowhere is this more obvious than in the ongoing U.S.-ROK 123 agreement negotiations. Secondly, Japan is a leader, if not the symbolic face of the global nonproliferation regime. For Japan to be separating plutonium for no demonstrable purpose dramatically undercuts its own leadership on nonproliferation and aggravates the already controversial precedent it sets with its fuel cycle program, elevating the risk of proliferation in the region. Thirdly, at just the time when the United States is working to underscore its alliance with Japan as the bedrock of its security presence in East Asia, Japan’s growing plutonium surplus will only exacerbate concerns of Japan’s return to militarism, eroding its legitimacy and efficacy as a partner in regional security. In the aftermath of the Fukushima disaster, the United States has appeared somewhat ambivalent in its response to Japan’s efforts to restart its nuclear energy system. However, the American stake in Japan’s road ahead is profound. While it is not the case in all foreign capitals, in Tokyo, opinions and preferences from Washington are meaningful. Washington, particularly the Department of State and Department of Energy, has an opportunity to protect American interests by formulating and articulating an unambiguous American position on Japan’s path forward on nuclear energy to Japan’s leadership. Articulate a plan for plutonium disposition that provides quantifiable and publicly demonstrable benchmarks for reducing Japan’s plutonium inventory. Call for official, temporary suspension of operations at Rokkasho until MOX burners or another credible disposition pathway for Japan’s separated fissile materials, is available. Advocate operating Rokkasho (if and when started), at an output rate that is no more than commensurate with plutonium disposition goals and available means for plutonium disposition. Encourage utilization of temporary dry-cask storage of spent nuclear fuel in order to enhance safety at reactor sites while expanding nuclear fuel cycle policy options. One of the rare positive stories to emerge from the Fukushima Daiichi disaster was the robustness of dry cask storage. Utilities and the government should capitalize on this success story and prioritize arrangements with local communities to allow for expeditious transfer of spent nuclear fuel from wet-storage to on-site dry casks. There is no nuclear weapons program in Japan’s foreseeable future. However, there is a significant risk of an outward appearance that suggests otherwise to South Korea, China, North Korea, Iran, and the rest of the world. Whether or not appearance differs from reality, the real world consequences would likely be the same. While Japan has serious and immediate energy concerns, it also has a very deep and fundamental commitment to global nonproliferation. With support from friends in Washington, Japan must face its looming nuclear energy challenges head on with eyes fully open. The stakes are too high to allow current circumstances to dictate their own outcomes. Next year is the 70th anniversary of the atomic bombings of Hiroshima and Nagasaki. The event would provide a fitting platform for Prime Minister Abe to recognize opportunities in Japan’s current crisis and make bold decisions on Japan’s nuclear energy program. The right decisions can help regain global confidence in Japan’s intentions, while reminding the world of Japan’s unwavering commitment to nuclear safety and nonproliferation. The anniversary would make an equally unfortunate occasion to demonstrate otherwise. Ryan Shaffer is an Associate Director of Programs at the Maureen and Mike Mansfield Foundation in Washington, D.C., where he manages Japan and Northeast Asia policy programs including the Mansfield-FAS U.S.-Japan Nuclear Working Group. Prior to joining the Mansfield Foundation, Mr. Shaffer served as a research analyst for the Federation of Electric Power Companies of Japan. 3. ↑ Green, Michael and Jeffrey W. Hornung, “Ten Myths about Japan’s Collective Self-Defense Change.” The Diplomat. 10 July 2014. Web 27 October 2014. http://thediplomat.com/2014/07/ten-myths-about-japans-collective-self-defense-change/. 4. ↑ Fukushima Daiichi, coincidentally, is one of two exceptions. There is some evidence that, post-Fukushima, momentum may be building for acceptance of on-site interim storage. In 2013, the Governor of Shizuoka Prefecture, which hosts the Hamaoka Nuclear Power Plant, broke with precedent in suggesting that the plant should develop interim storage as an enhanced safety measure. 5. ↑ Three further Japanese reactors had received approvals for MOX but have not applied for restart authorization. 6. ↑ Furthermore, the plant that will fabricate the MOX powder into reactor fuel is not planned to be operational until October 2017, meaning that any MOX powder produced by Rokkasho will have to wait until after that date to be consumed, the status of Japanese MOX-burning reactors notwithstanding. 7. ↑ Kyushu, the island on which the Sendai Nuclear Power Plant is located, is one of four main islands that comprise the Japanese archipelago. Kyushu sits to the southwest of Japan’s main island, Honshu, where Fukushima Daiichi is located roughly in the center, on the Pacific coast. The Sendai reactors are located approximately 700 miles southwest of Fukushima Daiichi. 10. ↑ By coincidence, Fukushima Daiichi Unit 3 was one of only four reactors in Japan that were using MOX fuel at the time of the accident, and, as the American Nuclear Society argues, MOX has not yet been shown to have contributed to the disaster any differently than the conventional fuel in Units 1 and 2. See: Brady Raap, Michaele. The Impact of Mixed Oxide Fuel Use on Accident Consequences at Fukushima Daiichi. Chicago, Il: American Nuclear Society. American Nuclear Society Technical Brief, March 2011. Available at http://www2.ans.org/misc/ans-technical-brief-mox-fukushima.pdf. 11. ↑ It is worth noting that one of these sixteen to eighteen reactors was to include the under-construction Ohma plant in Aomori prefecture, but as previously noted, Ohma is subject of an ongoing lawsuit. 12. ↑ Katsuta Tadahiro, “The Influence of the Fukushima Accident on Japan’s Reprocessing Policy and the Challenges Ahead” (working paper, Graduate School of Humanities, Meiji University, 2014). 13. ↑ Section 123 of the United States Atomic Energy Act requires so-called “123 agreements” determining the conditions for nuclear cooperation with a given foreign state. For further details, see: “The U.S. Atomic Energy Act Section 123 At a Glance.” Arms Control Association, 2013. Web 27 October 2014. https://www.armscontrol.org/factsheets/AEASection123.